The relevance of this study is reflected in the huge demand for tomato paste via imports not checking the irony that Nigeria is Africa’s largest producer of tomatoes. The summary of this study thus reflects the sad conclusion that Nigerian tomato farmers are unable to meet the demand for its indigenous consumers. Nigeria has a population of over 180 million of which over 90% utilize tomato paste at least weekly. Statistics has shown that about 68 million tons of processed tomato paste. Processing of tomato into paste is quite relevant due to the perishable nature of tomato. This helps to preserve tomato for use by consumers, thereby enabling those who want to buy tomato in bulk to store. The life span of processed tomato (paste) is ten times more than that of the natural tomato and is usually preferred for cooking quick meals. · Processing of any food item always results in reduction of its nutrients and in this case, taste. · Processing tomato may be capital intensive albeit not too expensive. · Processed tomato helps prevent food wastage due to spoilage. Tomato can be thus preserved and used when desired. This involves the selection of good tomatoes from the bad ones. This is a critical step in tomato paste production as it directly affects quality control and general marketability of the paste. It is also important to select tomatoes that are ripe and mould-free. The weight of the sorted batch is taken and recorded. This helps in determining the exact nutritional value of the batch and it’s helpful in fortification and adequate addition of preservatives. After weighing, the batch is washed and cleaned. This is done to get rid of sand and other unwanted pathogens. This involves putting the tomato batch in boiling water for five minutes in order to peel off the skin. It helps in removing the seeds and possible bad odour from the tomato. This process involves the pulping or mashing of the tomato. The tomato is now made in paste form. This is done in the above order. The blended tomato is boiled and sieved using a cotton sieve in order to separate water from the main mix. Lemon juice is added to pitch its acidity to prevent bacteria from festering. The mix is further heated to remove more water leaving it more concentrated. Tomato paste can be packaged in tins, sachets and bottles. In business, packaging plays a vital role in the purchasing of any product as it influences price range and purchase among competitive alternatives. The combination of preservative method with packaging provides a better outlook for the business. In marketing certain factors must be considered: Market size, target, competition and distribution network. For tomato paste, an international network for export will ensure a continuous demand for the product with higher profit, but this will require an adequate standard. Supermarkets, restaurants and other vendors are other possible clients to be considered. A proper advert means such as social media and print media should be utilized to provide a larger coverage for the demand of the product. Feasibility study ensures you are abreast of all the factors involved in establishing your desired business. The interplay of facts and figures in their right context enables you avoid pitfalls and unforeseen negative events. 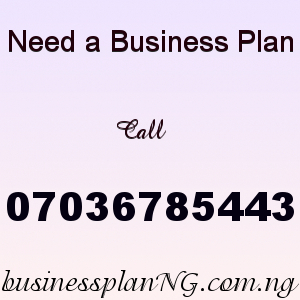 A feasibility study provides the financial statement on starting, building and commencing the business. It reflects all materials/factors required to commence the business. It also helps in analyzing the profitability of the business. It is a sure guide in a dark unknown road of entrepreneurial success. One of the major hurdles to cross in production of edible products such as the tomato pasta is the legal requirement to run such business unlike running tomato farming business. Agencies in Nigeria such as NAFDAC were set up to oversee the quality and ensure the safety of any edible product to protect Nigerians from poisoning or other harmful vices. Therefore, licenses and permits are required by the Agencies to prove that the products have passed through its necessary tests and verification to prove that it is safe to be consumed as food or food accessory. It is better to have an experienced legal adviser to handle such matters. Without these permits, your products could be destroyed and may attract either fines or even jail term. · Access to raw materials: The factory must be located close to major tomato farms because of the perishable nature of tomato. · Labour: It must also be located in places where human resources are easily accessible. Tomato paste factory will require certain level of man power for effective production. · Nearness to market: The factor must be located in a place easily accessible to consumers. · Good road network: The tomato factor must be situated in a location with good road network to ease transportation of raw materials to the factory and transportation of processed tomato paste to the consumers. A proper analysis in price for the above mentioned machinery is hindered by variety in prices caused by the diversity of foreign exchange. This gives an uncertain conundrum in determining the total budget for setting up the business. However, it is estimated that possible costing to acquire these products may run up to tens of millions. The conundrum of acquiring the machinery required to start the business is only seconded by the necessary requirement that these machinery be handled by capable hands. Well qualified and trained workers must be employed to prevent future expensive mishaps in the daily running of the business. The breakdown of equipment due to mishandling by an unskilled or poorly trained worker will incur unnecessary expenses in repair of the machine. The choice of a proper location for the tomato paste factory is more adequately set close to available raw materials. One must ensure the use of only healthy, fresh and rot free tomatoes in the paste production to produce good quality tomato paste. Proper sorting has to be done frequently, hence the need for adequate manpower. There is the saying, “First impression matters.” One of the vital marketing factors is the quality of the product. It is the prime marketable quality of the product. Another marketing factor quite equally important is the aesthetic value of the final packaging. A good packaging catches the attention of the consumers and somehow convinces them that the product is of good quality without tasting it. Fine packaging with poor quality product will destroy the market for the product. A good combination of both ensures a perfect market for the product. Your Unique Selling Point (UPS) refers to your innovative advantage over competitors and market leaders. Why will customers prefer your product to other alternatives? This drives into improve quality of product plus packaging. Your market analysis must include a comprehensive report about your major market leaders/contenders. An understanding on your competition will inspire a way to outsmart them and establish yourself as the market leader in the industry. Improving the quality of your tomato paste, better packaging or even improved marketing strategy are all avenues to outsmart your competition. Reducing the price of your product if still profitable, could give you a competitive advantage over market contenders in the industry. Tomato paste has an established high demand index and can therefore be established as highly profitable venture. Our sample Tomato Paste Production Business Plan in Nigeria can be used to access bank loans, proposal writing and grant applications. The business plan was complied after a thorough feasibility study on Tomato Paste Production Business in Nigeria was done. Call Mr Eyemeka on 07036785443.